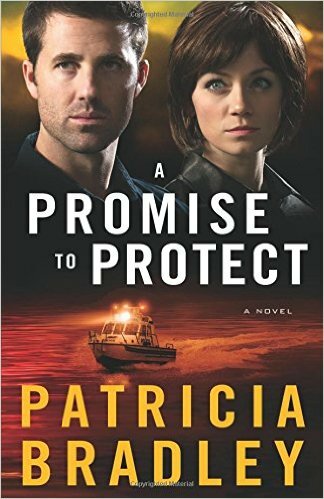 A Promise to Protect, by Patricia Bradley, is the second book in the Logan Point series; however I haven’t read the first one, Shadows of the Past, (yet!) and at no point found this to be a problem. Our hero, Sheriff Ben Logan, and our heroine, Dr. Leigh Somerall, both have secrets to hide. Ben’s father, the previous sheriff, was shot in the line of duty, and Ben is anxious to find the man responsible. Leigh has returned to Logan’s point with her young son, to stay with her brother, Tony Jackson. Near the beginning of the story, Tony is shot and dies in Ben’s arms. His dying request is that Ben takes care of Leigh. Despite the uneasy relationship between the two, he determines to do this, but it soon becomes clear Leigh has no desire to cooperate. As one crime develops into several, it becomes apparent that Leigh’s life is in danger, but why? And who is behind it? The story unfolds against a background of lies, secrets, and drama, as the two try to ignore their growing attraction for one another. 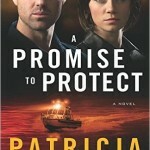 If you enjoy Christian suspense with romance thrown in, this is the book for you. I have no hesitation in awarding it five stars. The book can be bought here, in both print or e-format. I received a free advanced digital copy of this novel from the publisher through the “Revell Reads” program in exchange for my unbiased opinion. Thank you, Revell, for this good read!